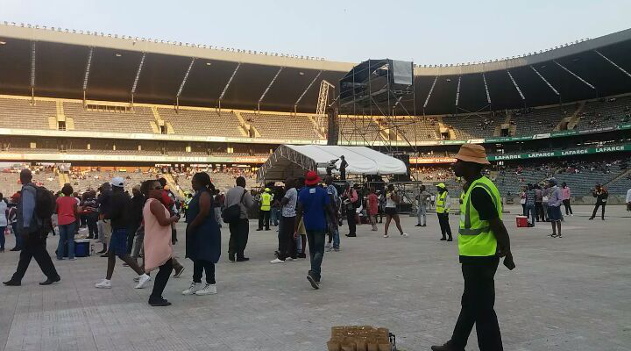 The controversial Thank You SABC Music Concert took a turn for the worst this weekend as the Orlando Stadium saw only 1000 patrons attending what was promised to be an unforgettable event. It was not. 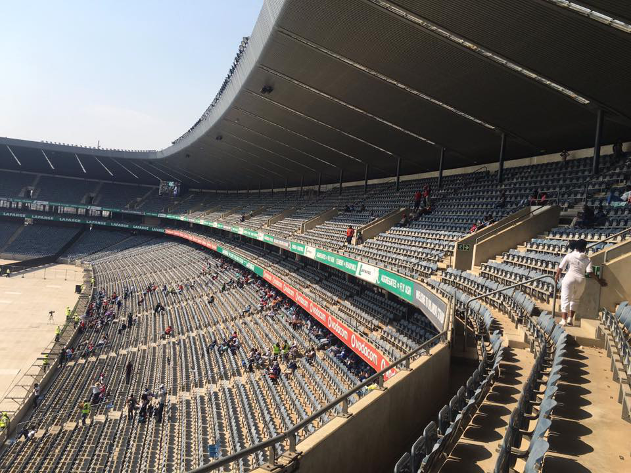 One of the organisors, Mzwakhe Mbuli, had projected that they would pack out the stadium with 20 000 people and that they should bring Guinness World Records to document this massive achievement. Needless to say, he was completely off the mark. The poor attendance forced the ticket sellers to drop the price of entry from R100 to R20 to get more feet through the door, unfortunately for them, it was too little too late. 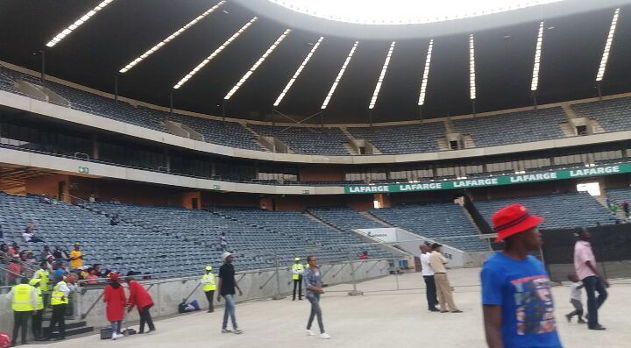 The concert was doomed from the start as various calls to boycott the concert sprung up on social media before the opening of the gates. Artists such as AKA, Kwesta, Riky Rick, Black Coffee and Jack Parow who were billed to perform, pulled out of the shambolic event due to non-payment from the organisors prior to their performance. Jack Parow took to Facebook stating: "I just want to apologise to my fans and the people I met in the crowd trying to get inside that we couldn't get on stage to play and after more than an hour of trying we left. No one knew what was going on and made us feel so uncomfortable & unwelcome & basically like we shouldn't be there. We came all the way & trusted your word after everyone else pulled out & u begged us to still come. We are thankful for all you do for local music #sabc, but come on. Kak swak my bru." What already seemed a waste of time and money now leaves the public with countless questions of where the money came from to execute the event and how it came about that such a disappointment saw the light of day in the first place. TMG Entertainment revealed that Morris Roda, the same promoter that squandered taxpayer's money with the Miriam Makeba tribute concert, seems to be the one in charge of these two epic failures. There have also been previous event cancellations from Morris Roda Productions such as the Dinokeng TribeOneFest in 2014, which also saw Morris in hot water about the circumstances of the cancellation. There's obviously money being made at some point, whether as tenders or otherwise, so where is this money going? If money provided from the government is acquired in order to carry out a service, and the service fails, how does the money get returned? Beyond our own speculation, the Thank You SABC Music Concert was a disgusting waste of resources in an already struggling nation that needs every ounce of help it can get. On the bright side, Mandoza took this opportunity to address his friends and fans who have supported him since tje nrws that he was diagnosed with brain cancer. The kwaito artist came on stage with the help of his crew and took the mic to thank his supporters and shout "The devil is a liar!" to the crowd. Not quite sure who the "devil" is in this case.